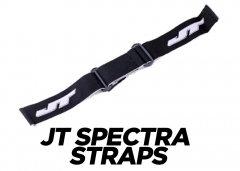 JT - Spectra Goggle Frame Black. JT - Flex 8 - Head Guard - Olive. JT - Vortex Cyclonic Fan System - Black. JT - Spectra - EPS Mask Bottom - Pink. 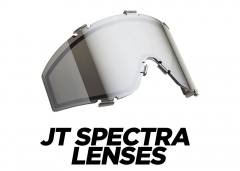 JT - QLS Lens - Clear Thermal. JT - Soft Ear - Pink. JT - Soft Ear - Black. JT - Soft Ear - White. JT - Soft Ear - Red. JT - Soft Ear - Blue. JT - Elite - Thermal Lense - Clear. JT - Elite - Thermal Lense - Amber. JT - Elite - Thermal Lense - Purple. JT - Elite - Thermal Lense - Yellow. JT - Elite - Thermal Lense - Rose. JT - Elite - Single Lense - Clear. JT - Elite - Visor. JT - FX10 - Yellow Fade Thermal Lense. JT - FX10 - Smoke Fade Thermal Lense.